Can you help identify the location and the people in this photo? 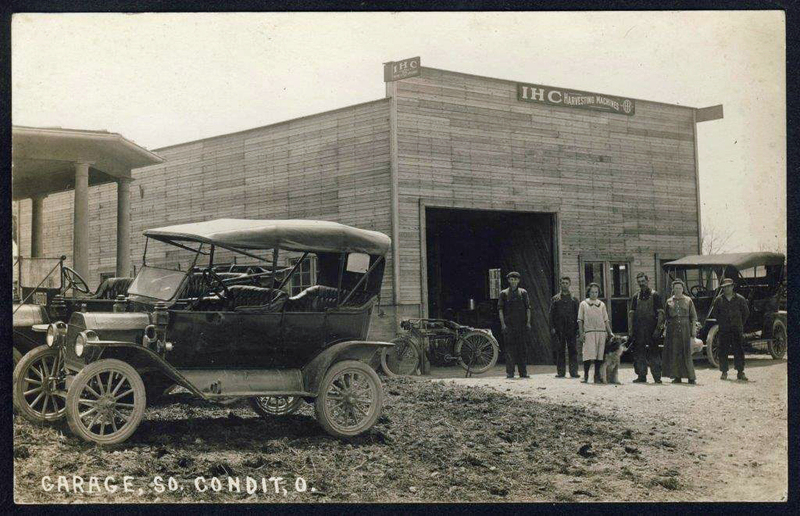 Jeff Sellers shared this postcard photo of an International Harvester Company in South Condit. Larry DeWitt thought the house was east of the South Condit Store with the barn behind it. The man second from the left seems to be missing a hand which corresponds to a DeWitt family member who lost his hand in a farming accident. The girl in the white dress could be Riley and Elma (Perfect) DeWitt's daughter, Esther DeWitt (1901-1983) who later married Sidney Boudinot.